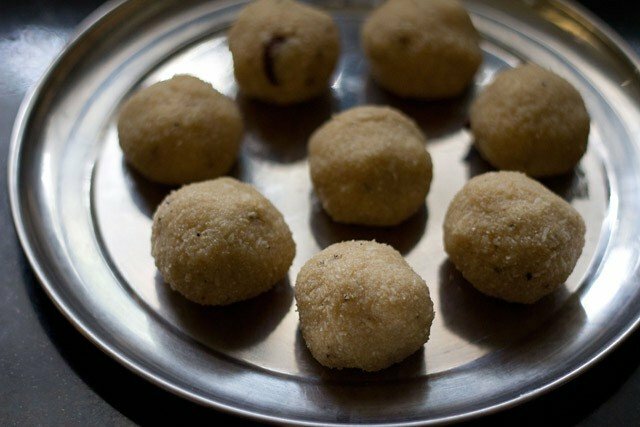 sabudana ladoo recipe with step by step photos – a sweet recipe which is good for fasting as well as during festival days. 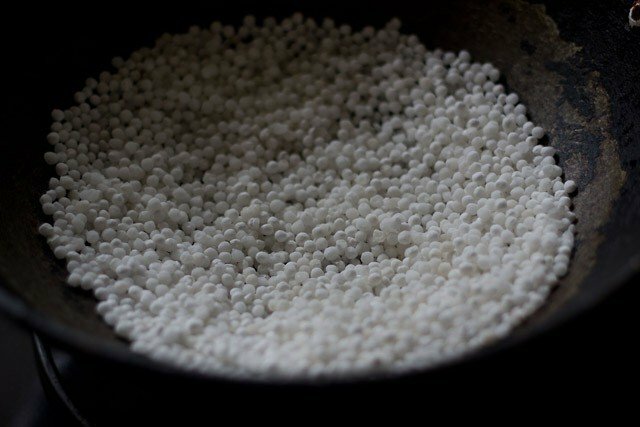 sabudana or tapioca pearls is one ingredient which is much used during fasting or vrats in india. you can make variety of recipes with sabudana like sabudana khichdi, vada, thalipeeth, kheer, tikki or cutlets with them. this method of making sabudana ladoos were shared by my mom. she had seen this on a tv show. she only saw the way these ladoos are made and told me the method. i had no inkling of the quantity of the ingredients that need to be used. so just eyeballed everything and made the recipe. the original one uses ghee. i have used oil. 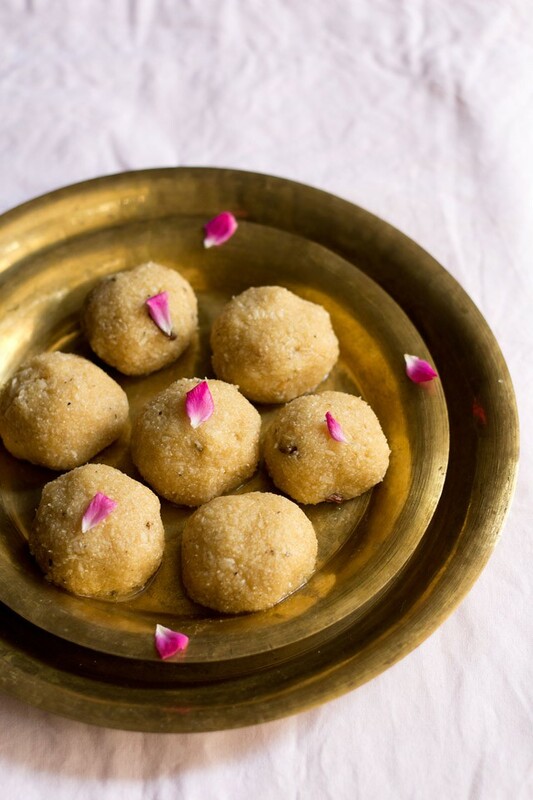 now the difference between using oil and ghee is quite apparent in sweets like ladoos. firstly the ladoos don’t have the aroma of ghee. 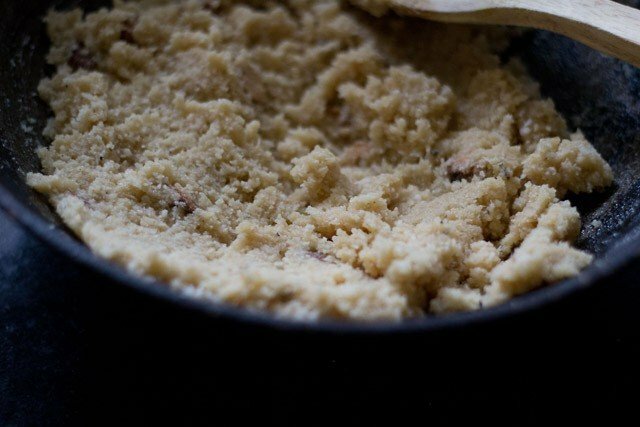 secondly after cooling down, the ghee will solidify at room temperature and give a nice hold and shape to the ladoos. this does not happen with oil. 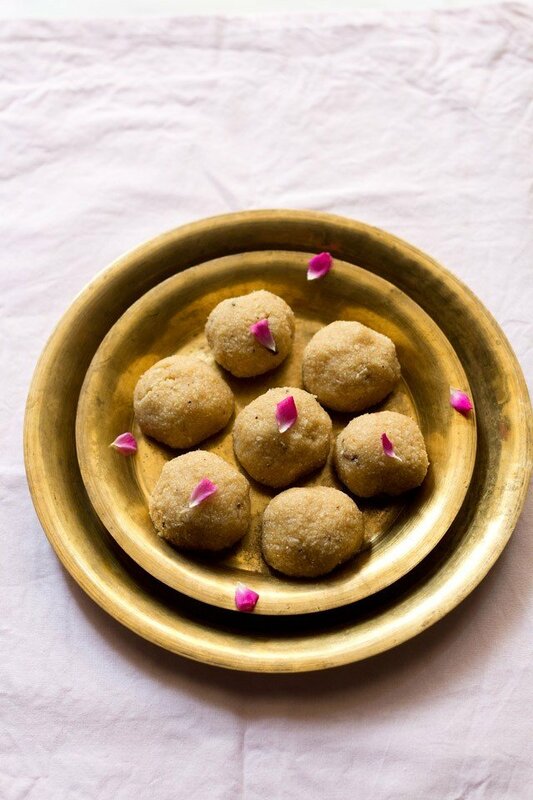 the ladoos do hold shape but not like the ones made with ghee. 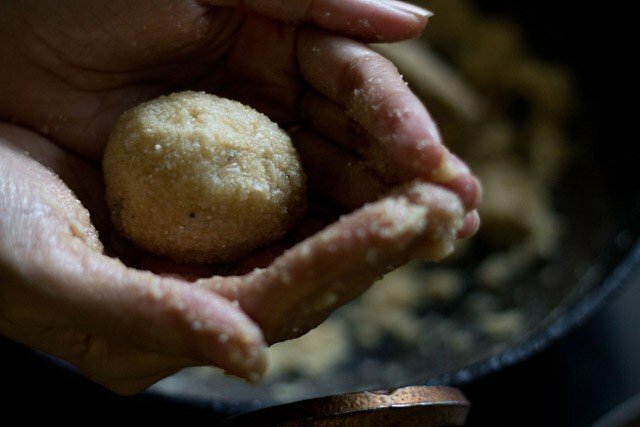 the ladoos made with ghee are dense but the ones made with oil are a little loose. coconut oil works well as a substitute for ghee. however, since the ladoos have already desiccated coconut in them, i did not add coconut oil. i did not want too much of coconut flavor in these ladoos. 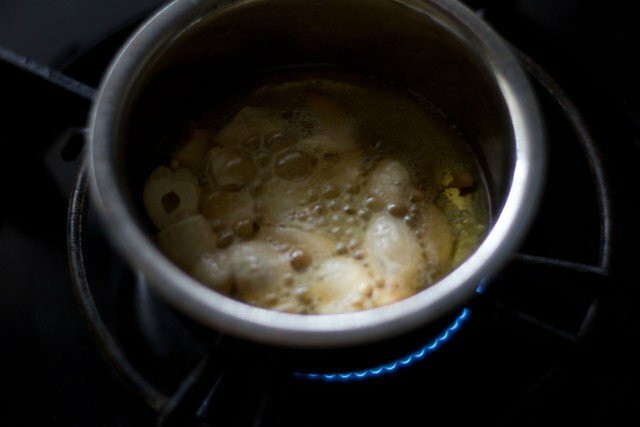 i have added hot oil later too, as i realized that the 4 tbsp oil i used to fry the cashews was not enough to bind the ladoos. with all the limitations and setbacks, these ladoos were good. 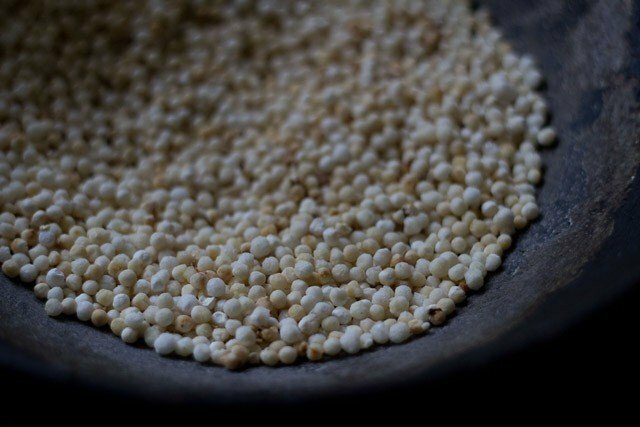 they do stick in the teeth as its the nature of tapioca pearls to become sticky and gluey. despite this, the sabudana ladoos tasted awesome and you will like them even more, if you are fond of having coconut in sweets. so do give this sabudana ladoo a try if you are looking for a different variety of ladoo, you want to make for festive or fasting occasions. 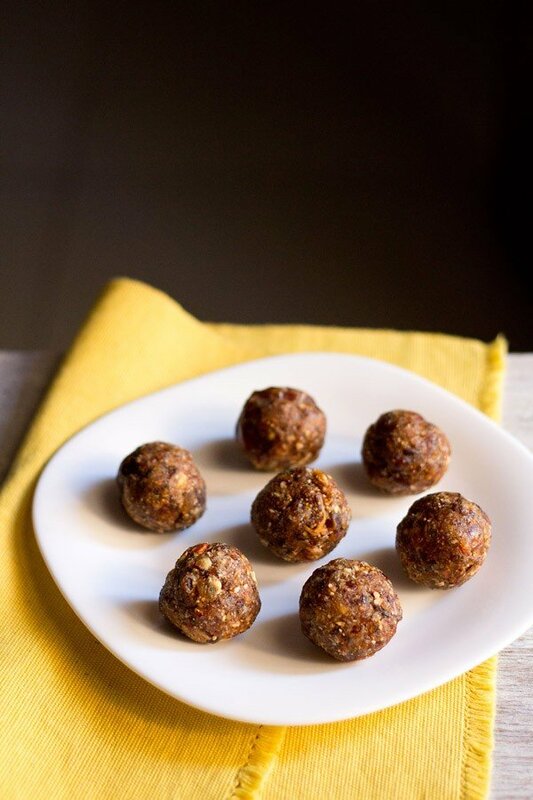 few more ladoo recipes on the blog which you might like to check are dry fruits ladoo, atta ladoo, motichur laddu, rava ladoo and ragi ladoo recipe. 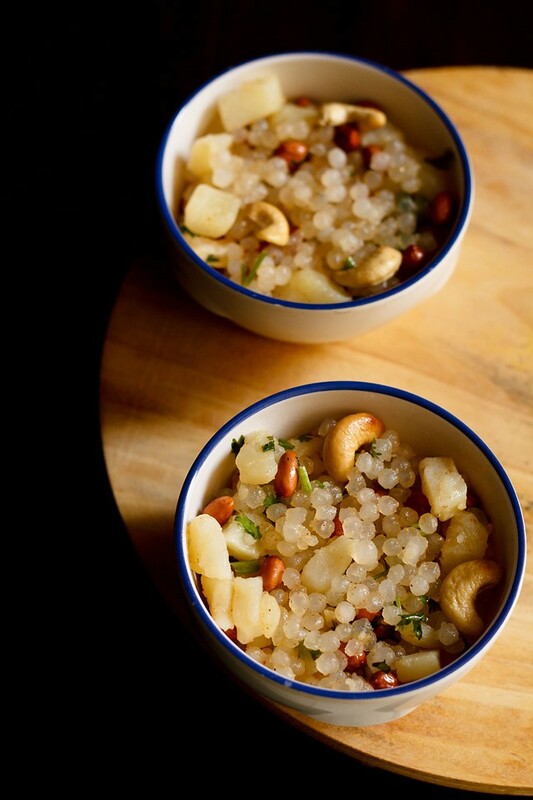 1. roast the sabudana (tapioca pearls) in a kadai or pan in a low flame. this step takes a long time… about 30 mins. you have to stir continuously. the pearls swell a bit and become crunchy and light brown when nicely roasted. if you bite, they won’t be crisp as fried sabudana pearl….. but you can bite into it. 2. as mentioned above, this process of roasting take approx 25 to 30 minutes on a low flame. you can see in the pic the color and texture of the pearls. 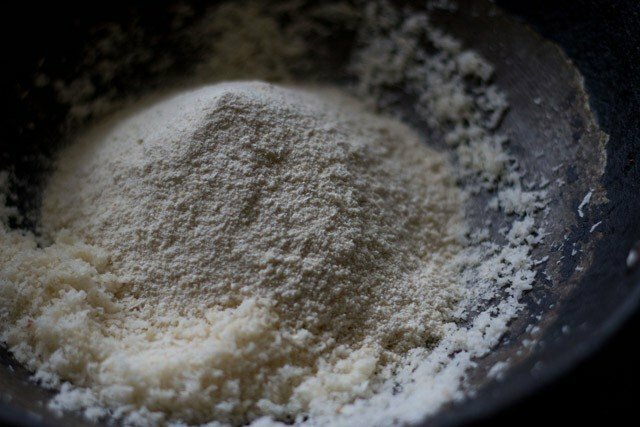 cool the pearls completely and then grind to a fine powder in a dry grinder. 3. lightly roast the desiccated coconut for 2-3 minutes. no need to brown the coconut. 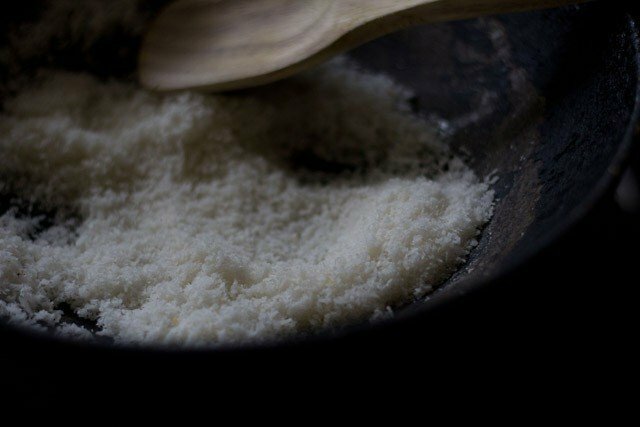 4. in the same pan where you have roasted the coconut, add the ground sabudana powder. 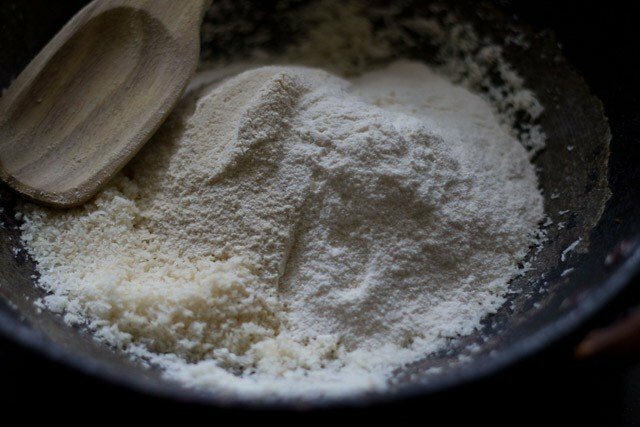 5. add powdered sugar and mix well. 6. heat oil/ghee in a pan. add chopped cashews and fry them till golden. 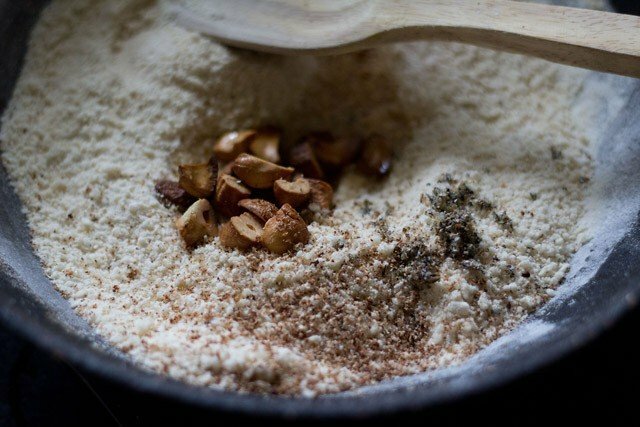 7. pour this whole mixture of oil and browned cashews into the sabudana mixture. also add cardamom powdered and nutmeg. 9. when the mixture is still slightly hot or warm. make medium sized balls from it. 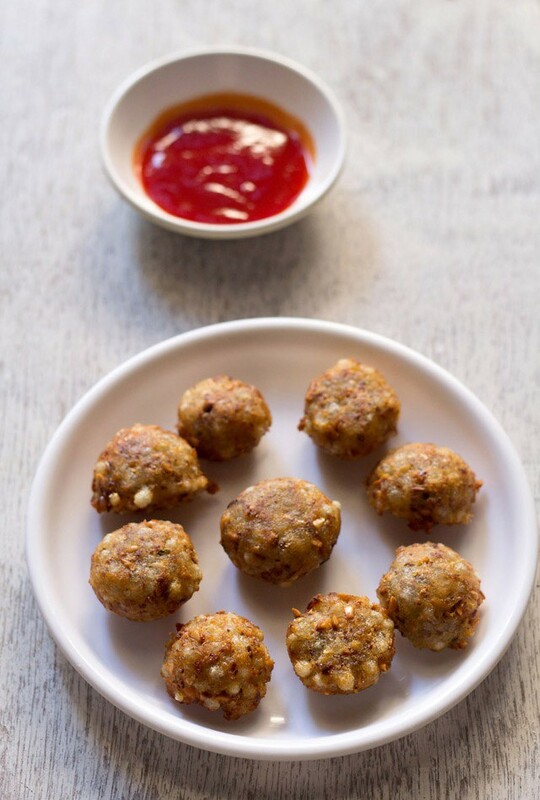 10. make all the ladoos in a similar way. sabudana ladoo are ready to be served. 11. you can also store the sabudana ladoos in an air tight container in a fridge for a week or so. enjoy the sabudana ladoos. It’s unique and tasty. I tried this for krishna janmastami. It came out very well. Thanq for the new sweet item. thanks swathi for this review. glad to know. The ladoo is harder and not soft as shown in picture. Can you please let me know why? try adding some more ghee or oil and then shape the ladoos. also the sabudana has to be roasted very well. if they are even slightly raw, the ladoos won’t have a soft texture. 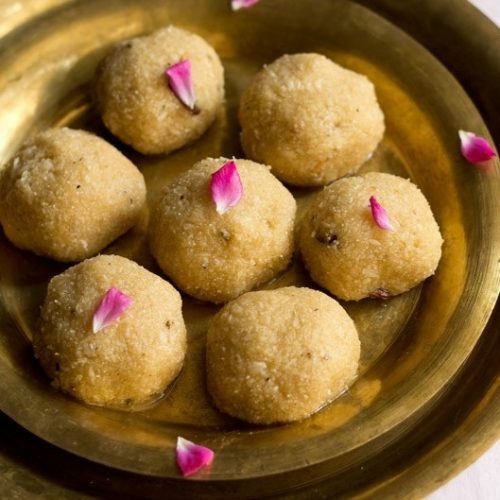 I want to make sabudana laddoo; can I used fresh coconut instead of dessicated coconut? you can use. but just roast the fresh coconut on a low flame till it becomes slightly dry. no need to brown the coconut. I try all your recipes..very good website..thank you..
thanks madhavi. do you mean sticky in the texture or in the taste. 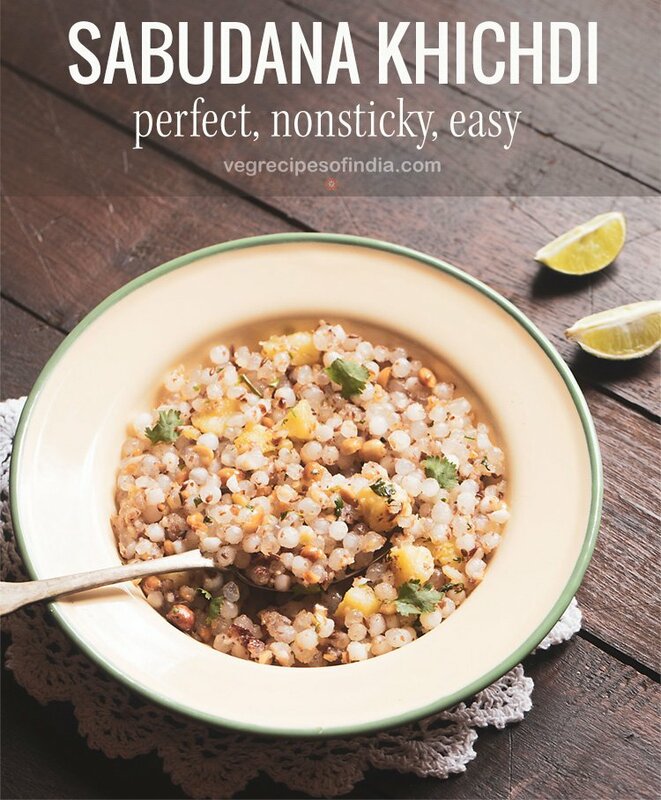 in the taste stickiness will be there as sabudana becomes sticky when cooked. i have mentioned this point in the post too. Thanks alot for sharing those dishes I’ve tried 2 paneer dishes which were fab..!! thanks for the feedback pranali. hope your mom likes these sabudana ladoos. thanks. unsure why the ladoos could not bind. but glad that you liked them. Amazing.. 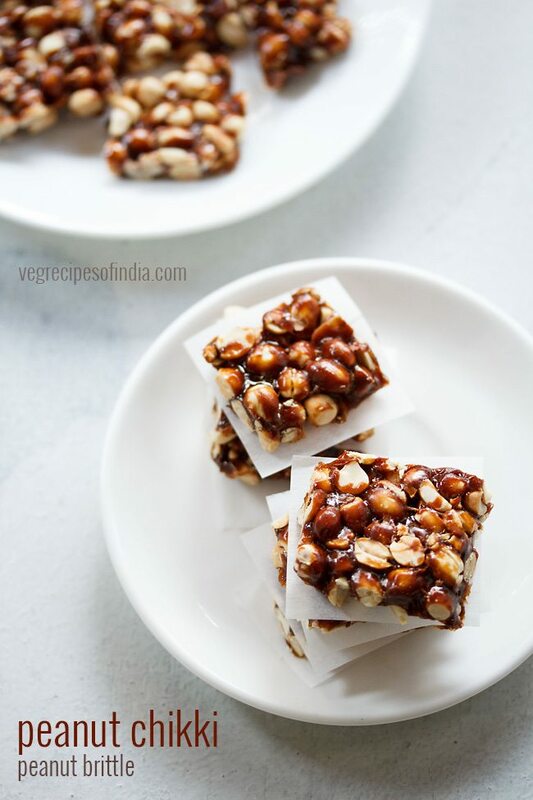 I am very much fond of desserts nd i keep visiting ur site nd trust me everytime my reaction is outstanding..ur way of sharing recipes is too gud..u tll about every pros and cons related to the dish.. 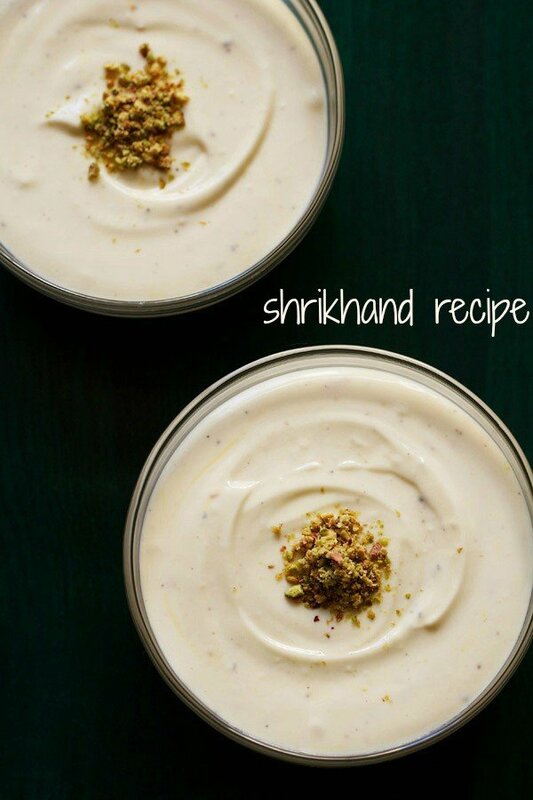 I tried this recipe and my whole family liked it.. Thnx alot for sharing awsum recipes with us!! ? welcome jannat. glad to know this. thanks for sharing positive feedback on recipes.